Calling this made-for-TV movie "bad" doesn't really address the magnitude of just how awful it actually is. To even begin to do so, I'll try something a bit counter-intuitive: I'm going to compliment the filmmakers. Perhaps "compliment" is too strong a word - I'm going to acknowledge a possible explanation for the movie that's ultimately generous. 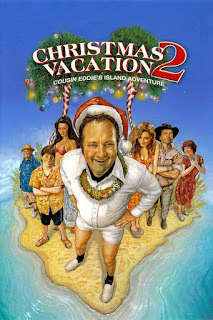 Having just watched through Vacation 2, I am honestly unable to dismiss the following possibility: the movie was intentionally made as bad as possible either as an attempt to mock the audience, screw over the studio, or both. I knew this was going to be bad from the first track, but I didn't realize how bad. The music is generic overproduced "kid-friendly" stuff. It reminded me of the old commercials for Kidz Bop. 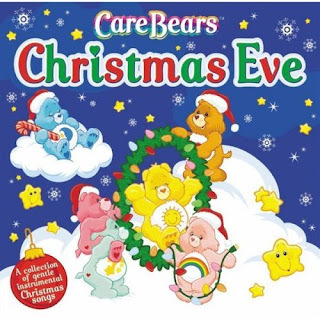 There seem to be at least three singers: a male generic pop voice, a female generic pop voice, and a female voice doing a somewhat androgynous/generic "kids show" sound. The music production is terrible: the balance is off, the vocals sound overly digitally tweaked, yet still have prominent hissing "s" sounds. If either Bad Santa or its sequel were 1% lower on Rotten Tomatoes, their sum total would be exactly 100%. It's a shame this isn't the case, as there'd be a certain poetry to having this occupy the space its predecessor does not; a symbolic representation of how it is the empty husk of what it tries to copy. Ultimately, the one positive thing I can say about this pointless exercise is that it serves to emphasize how surprising it remains that the original was any different. It took eight years for civilization to kill off the original Full House, but some monsters just won't stay dead. In a twisted perversion of nostalgia, the concept and characters were resurrected, along with the stale jokes. If you're looking to place blame (and you really should be), Netflix is responsible for this abomination. 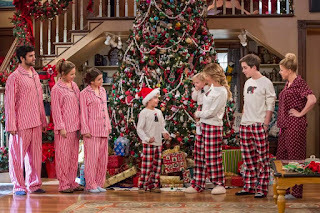 The series seems to center around DJ Tanner, her sister Stephanie, and their friend, Kimmy, from the original show. Joining them are a pack of kids, love interests, and pet animals you won't care about. 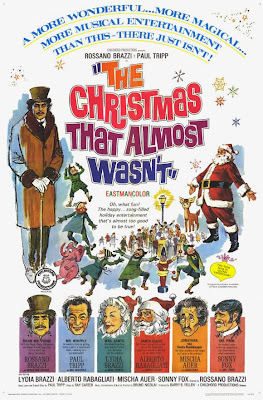 Supposedly, the three leads from the original (Joey, Jesse, and Danny) show up from time to time, but all were mercifully missing from the holiday installment. I'm still a little unclear what we just sat through. I understood the basics, of course. It was an episode of a reality show about a wealthy family who somehow managed to catapult themselves into cultural relevancy without offering anything of real value - no art, no philanthropy, nothing but a series detailing their attempts to stay in the public eye. But I don't understand why it was put on television, or why anyone turned it on. Was it some kind of a freak show? The editing seemed to portray the Kardashians that way, though it's difficult to make that assessment after just one episode (and I have no intention of ever sitting through another). It was an hour and five minutes, and that's without commercials - God, how I longed for the sweet respite of a merciful commercial break. Every time the streaming paused to buffer was a gift. A GIFT. I mean, we expected awful. 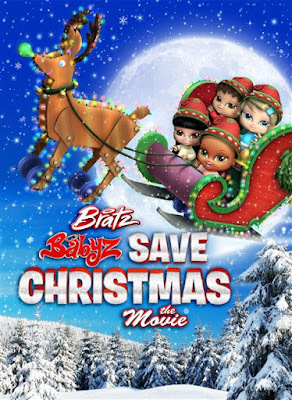 It's called "Bratz Babyz Save Christmas," and it's a sequel to a direct-to-video movie based on a toy line spun off of another toy line that was essentially a knock-off of Barbie: this was never going to be brilliant film making. But we weren't ready. I'm not sure anyone could have been ready. 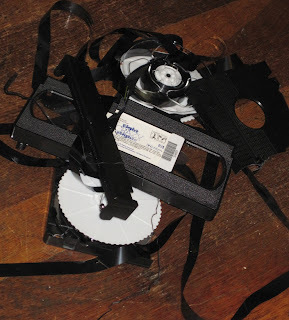 I'm going to do my best to prepare you, in case you're foolish enough to try and watch this yourself, but the task of trying to depict in words the experience we just endured is a daunting one. This thing, on all levels, in all ways... it was awful. Based on the four minutes I was willing to invest researching this, it seems to be the third movie in the CG Bratz Babyz direct-to-the-dumpster-behind-Best-Buy-because-no-one-was-actually-stupid-enough-to-buy-the-video series. Did I mention it was awful? 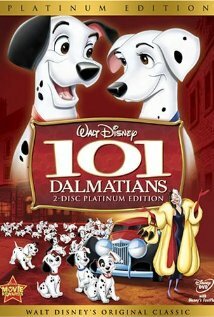 When you think of classic Christmas movies, Disney's animated 101 Dalmatians doesn't jump to mind, which is actually a little odd. Setting aside the first couple of scenes, the entire movie takes place immediately before Christmas, the majority of the film is about the titular dogs wading through a blizzard, and the finale occurs on Christmas day. Oh, and it's about getting a family back together. 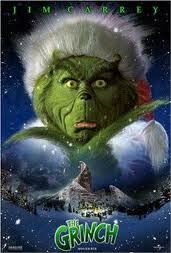 It is, in fact, a Christmas movie through and through. It just doesn't act or feel like one. 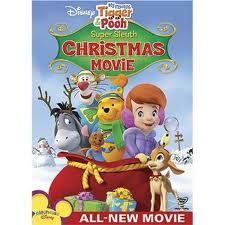 Most of that discrepancy can be tied to fact the movie isn't interested in Christmas. Until that last sequence, the holiday is only name-checked once, and then in an ambiguous manner. Likewise, we don't see any decorations during the dogs' quest. 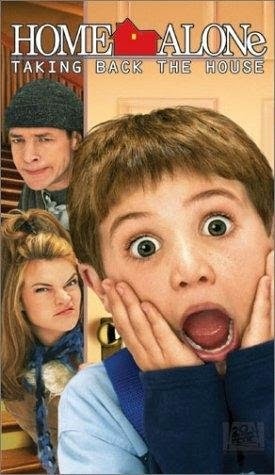 I'd like to begin with a thought experiment for those of you who haven't seen Home Alone 4. I'm assuming that includes you, since - as far as I can tell - no one alive has actually seen this movie and only a handful have even heard of it. So then, imagine that, after the disappointing third installment (which, to be fair, isn't really much worse than the first two), the Home Alone franchise didn't disappear entirely. Imagine instead that the IP transitioned to a made-for-TV movie aired on ABC. Now imagine that the character of Kevin McCallister, the protagonist from the original two, returned, albeit recast, along with every other character. Now ask yourself, how bad would you expect this to be? How abysmally awful, how utterly vapid, how monumentally stupid do you think a movie like that would be? What you're picturing right now is what we'll call, "The Expectation." Before we go on, you'll have to lower that expectation. Wow. We were warned about this one, but it still managed to reach pretty significant levels of awfulness. But the awfulness pales in comparison to how mind-numbingly boring this is. Here’s the plot: a cranky Snidely Whiplash type named Prune has bought up all the land at the North Pole, and now he’s charging Santa rent. If the jolly old elf can’t come up with the funds by Christmas Eve, he’s going to repossess the land and all the toys. For help, Santa goes to a lawyer who apparently wrote him a thank you note as a kid. Ooookay. I think Lindsay's reviewing this as well, since we had very different impressions of this made-for-DVD movie. She enjoyed it, while I consider its existence an affront to all that's good in the Universe. Here's the thing: I'm a pretty big fan of the Bear with Very Little Brain, and I've got some rather strong feelings regarding how Pooh and his friends should be adapted. The makers of this thing apparently feel differently. For example, I believe that Pooh and Tigger should NOT be part of a team that's sort of a combination of Mystery Inc. and a bunch of superheroes, as that represents a profound and disturbing lack of understanding of the world of Winnie the Pooh. I hated it even more than I thought I would. 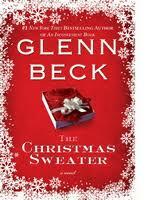 The story of "The Christmas Sweater" is loosely based on Beck's childhood. The introduction seems like it's intended to mislead you into thinking it's a true story, but it's almost immediately obvious that's not the case. To be fair, Beck includes a section at the end offering a quick overview of what's true (the name of his parents' bakery) and what's BS (pretty much everything else). This is the second time I've seen How the Grinch Stole Christmas, the first being in the theater when it was originally released. That was quite a while ago, but the experience stuck with me: I remember thinking it was a poorly conceived, ill-advised attempt to adapt a near-perfect classic into a full-length movie which resulted in a mess that insulted Dr. Seuss, the viewing public, and common taste. But it turns out my memory was faulty. When I actually sat down to rewatch this, I discovered it was far, far worse than I was remembering. Calling this a poorly conceived mess is a compliment. This isn't some innocent insult; it twisted Seuss's brilliant designs into grotesque horrors. It doesn't merely mangle his lines: it actually goes out of its way to mock them, without so much as a hint of humor or shame. A lot of people speak negatively about the spectacle of drying paint. I'm really not sure why that is. When I reflect on the gradual transition between its initial shimmering, almost glass-like surface to its final matte state - which is in itself brighter and more vibrant than it will ever appear again, before the dirt and grime settles, before years of greasy fingerprints and scuff marks - it hardly seems tedious at all: if anything, drying paint symbolizes the fleeting beauty of youth maturing into stability. In fact, given the choice between the two, there is no question in my mind that I would far rather watch paint dry than see Ernest Saves Christmas again, and would - without hesitation - recommend the same to anyone else faced with a similar set of options. I should start this by saying I have a thing about Glee. 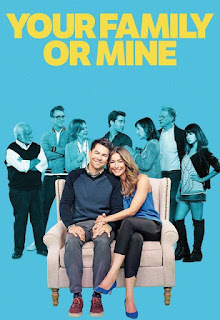 I watched about two-thirds of the first season before deciding I was ultimately not enjoying it and quitting before it became a full fledged addiction. This is the first episode I've seen since then. As I watched, I could feel the ghostly hand of pointlessly melodramatic soap-opera-style continuity calling me back. I could feel the chance that I would get sucked back in. Happily, I escaped, because this is a terrible episode. It continues to be basically the same plot: teen romance creates drama/evil gym teacher is wacky. Rinse, repeat. Overall the series, and this episode in particular, suffers from the tension between drama and farce. The drama is boring, but when the drama laspes, there's nothing to ground the farce. And the farce isn't funny enough to stand on it's own. Okay, so apparently at some point Harry Connick Jr was delusional or high enough to think producing an animated special based loosely on a stupid song he wrote was a good idea. And then somehow NO ONE involved thought: wait, this is a TERRIBLE idea! 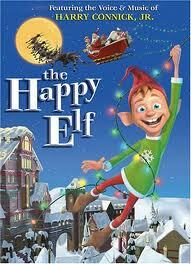 Thus was born the steaming pile known as The Happy Elf. Ugh, even the name is boring. The plot is idiotic, every single character is annoying. The only thing this has going for it is that it isn't very long. Rob Paulsen plays the lead, and if anyone could have pulled it out of the dive and made the twitchy hyper obnoxiously Pollyanna elf charming, it probably would have been Rob Paulsen. But it was not to be. The dialogue is so terrible, and the performances are all painfully overwrought. Is this really as bad as you've heard? Yeah. It might be worse. If you haven't had the pleasure, this is a variety show featuring a surprising number of cast members from the movie. Most of the established characters get a scene or two, although Chewbacca has a larger role. 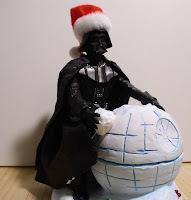 It's his family celebrating "Life Day," after all, and he's trying to get past an imperial blockade to get home in time. Of course the real stars are Chewbacca's family, who are given extended scenes in which they go about their lives, talking and arguing without translation. When they bother to call humans, we find out - again and again - that they're worried Chewie won't make it back. AHHHHH. AHHHHH. No. Why. WHY? Just... Just NO. Someone watched the Teenage Mutant Ninja Turtles Movie and then vomited out this horrid direct-to-video thing in about 10 minutes. The writing is uniformly terrible, but it's worse when they half-almost try to write the characters like the movie. I'd rather that they didn't, really. It's awful. The costumes are hideous and terrible, with animatronics that don't work, and they have no feet. The budget appears to have been about $50 and I'm assuming they spent most of it on beer. Also, the costumes are really scary-looking. We're talking horror-movie-possessed-toy scary. The voice “actors” occasionally do atrocious imitations of the movie cast, but it's really uneven. It burnsss... According to IMDB, it looks like either the entire cast and director did this under fake names, or they never worked again. Either sounds plausible to me.